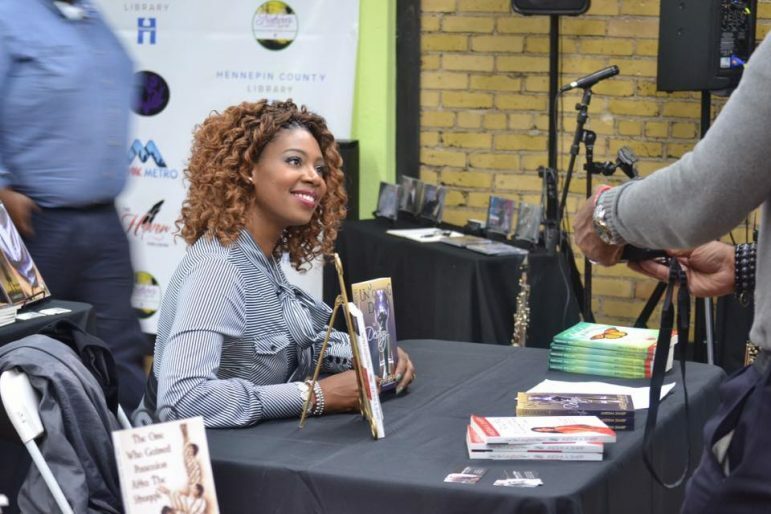 The Minnesota Black Author’s Expo (MBAE) is back and bigger than ever. Following last year’s successful inaugural outing, co-founders De’Vonna Pittman and Jasmine Tane’t Boudah have expanded into a larger space with more activities celebrating Black authors. Pittman is a published author and CEO at The Haven Publishing where she provides editing and publishing services, working with freelance editors and graphic artists. She co-founded the expo with Boudah, author of Mothering Through Pain and Suffering in Silence, to a fill a void in the Black literature landscape. “I realized there were not many spaces to go that appealed to Black readers,” said Boudah. The idea at the MBAE is to promote creators of non-fiction, self-help, urban fiction, Christian fiction, empowerment, hip-hop love stories, coming-of-age and children books. She looks forward to repeating that success this year. “The expo is an excellent networking event for the community, and people are looking forward to connecting with one another. “Most of the authors from last year are back again, and we are greatly honored that they saw the value in what we have all created together. That alone says so much more than we could ever express,” said Pittman. Several authors will read throughout the day. There will also be a panel from 12:30 pm to 1:30 pm. “In the panel selection, it was important to provide a diverse perspective and a wealth of knowledge focused on different genres, experiences, and expertise,” added Pittman. Featured panelists include Roxane Battle (Pockets of Joy), Pastor Stacey Jones (I Pastor Hip-Hop), Joseph Mbele (Africans and African Americans), and Nicole Pacini (Not a Cloud in the Sky). Toward which end Pittman and Boudah will also host a Writer’s Boot Camp, a 90-minute crash course for fledgling writers. Registered participants will hear from a team of experts about editing, writing and marketing a manuscript, and how to publish. Indeed, Mothering Through Pain found a solid following and, since its 2016 release, has benefitted from numerous promotional events. “I wrote and published My Pretty and Its Ugly Truth in 2011, reflected Pittman. “Back then, publishing houses weren’t willing to take a chance on new authors, and self-publishing was still very new. It was challenging to find resources or self-publishing assistance, but I was determined. I made the decision to start a publishing company and committed to helping first-time authors effectively edit and publish professional products. “I was Jasmine’s editor and publisher for Mothering Through Pain and Suffering in Silence,” added Pittman. “So, when she approached me with the idea to host an expo it was something I knew I had to do. I knew how badly Minnesota needed this space for Black authors. Sure enough, African American authors have SASE: The Write Place, a few programs at The Loft, and that’s about it. 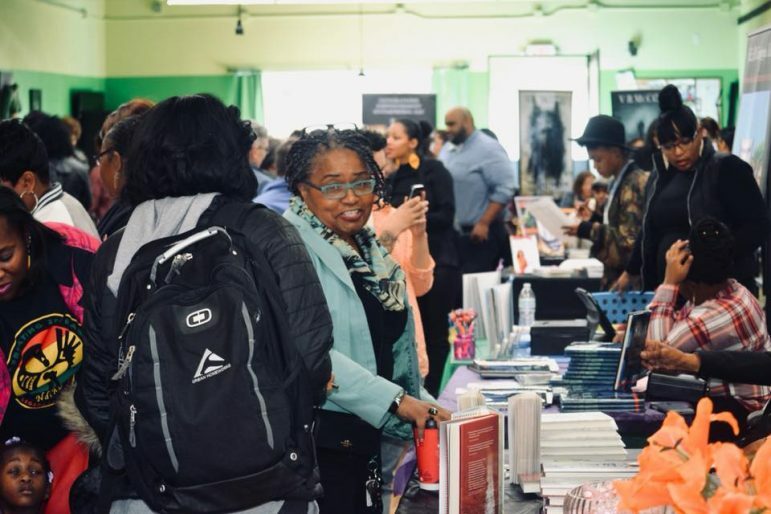 The Minnesota Black Author’s Expo is a welcome addition to the Twin Cities lit scene. Minnesota Black Author’s Expo takes place Saturday, Oct. 27 at The Parallel Building, 147 Holden Street in North Minneapolis, from 10 am – 3 pm. Free and open to the public. Advance $25 registration is required for the Writer’s Bootcamp. For more information, visit mnblackauthorsexpo.com. Dwight Hobbes is a contributing writer at the Minnesota Spokesman-Recorder. He can be reached at dhobbes@spokesman-recorder.com.